This graph presents the most Grammy Award-nominated individuals in history. 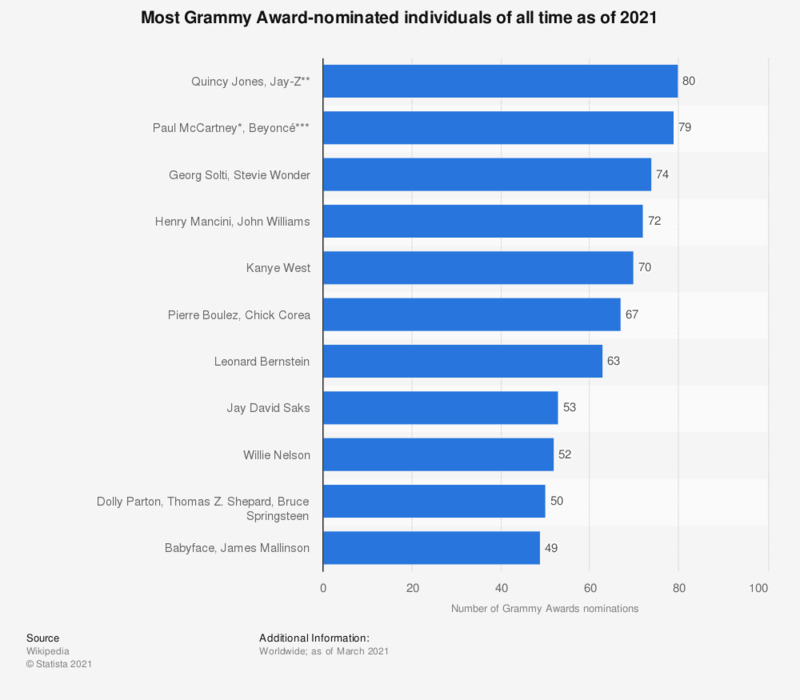 As of 2019, Quincy Jones received 80 nominations, which made him the most Grammy-nominated individual of all time. He received the award 28 times. **includes 13 nominations as part of Destiny's Child and 3 nominations as part of The Carters.